Welcome to Carers Elite Limited. We believe great things begin with great people and a career with us is much more than a job - it's an opportunity to realise your potential, while helping and supporting others. We are always looking for exceptional people to join our team. In return, we offer an exciting place to work with a wide range of benefits, rewards and the opportunities to grow your career. We provide you with the opportunity to learn, grow and develop within a thriving company and expect your level of ambition to match ours. 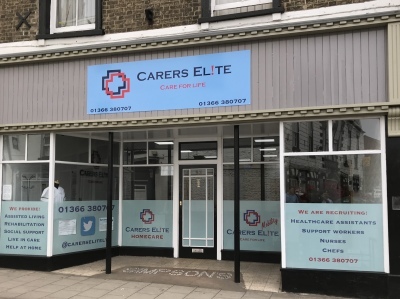 We pride ourselves in our extensive recruitment process and hands on training experience, you can be assured that with Carers Elite you are not just another number, you are part of our family. We're happy to say we provide 24/7 support to all of our staff, and being based in Downham Market our door is always open. Please send us a little information about yourself and we will endeavour to return your enquiry the very same day. Max deals with the companies recruitment, if you are interested in joining one of Norfolk's fastest growing healthcare providers, then please send through a copy of your CV to admin@carerselite.co.uk with a brief cover letter telling him who you are and what you want from us as a company. Please see our vacanies tab for information on what kind of staff we are looking for. Below is our application pack, no matter what your field of work, fill it out and we'll work to getting you on the way to your new career. We look forward to welcoming you to the team soon.